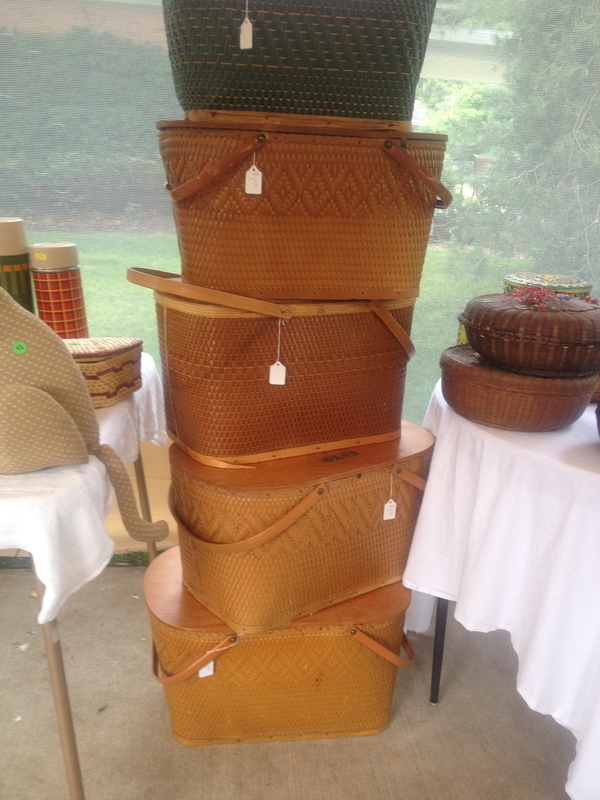 I love going to yard sales — even when I travel but I hate finding things that I’d buy if I was at home. Here are a few things I had to leave behind. 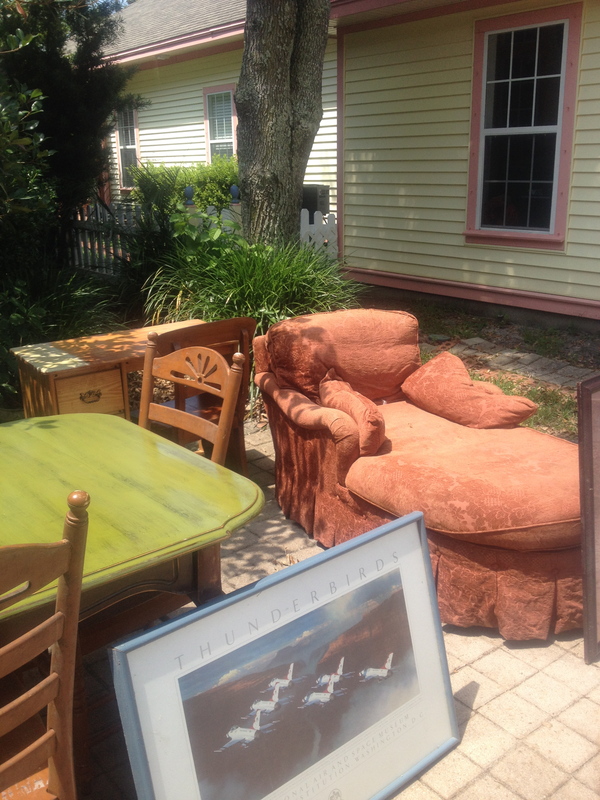 This chaise is from a yard sale in Destin, Florida. No way to cram it in my suitcase. 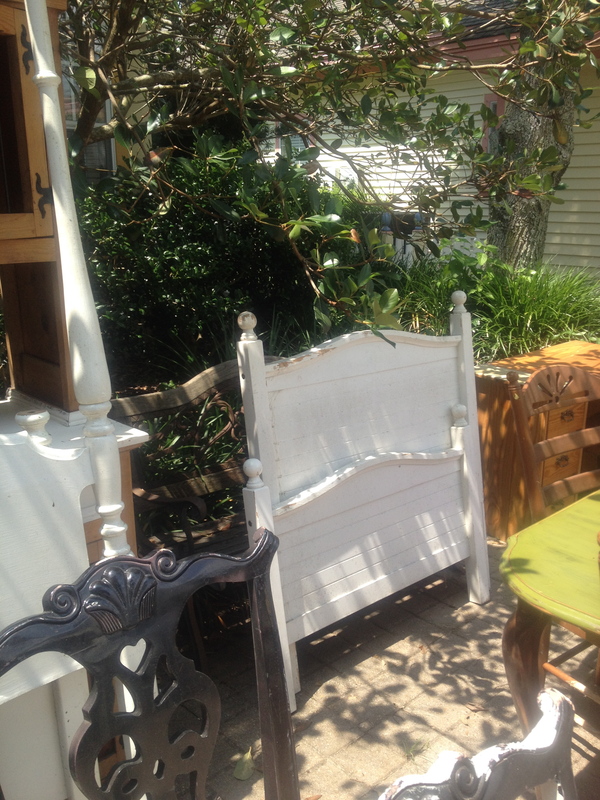 I loved the white bed frame — lot of potential to make a bench. When I was visiting St. Louis for a wedding I spent the morning going to yard sales with a friend. 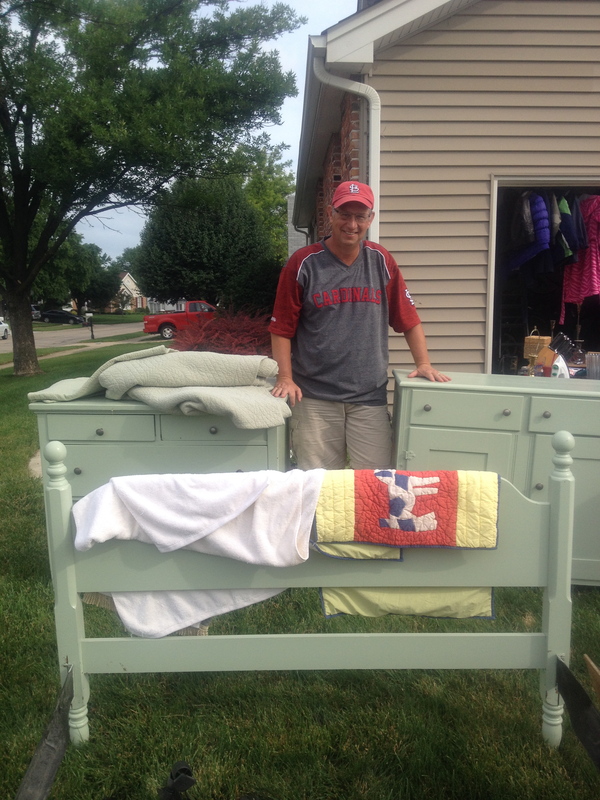 We came across this bedroom set and the man only wanted $30.00 a piece for the set. 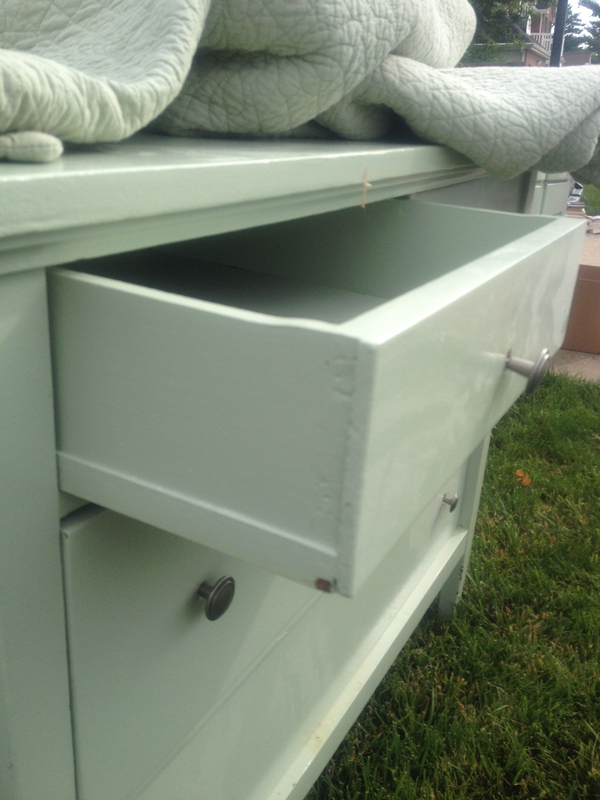 It’s hard to tell but the drawers were dovetailed in the dresser above. Maybe it’s a good thing I couldn’t get it all home. More fun finds in St. Louis. 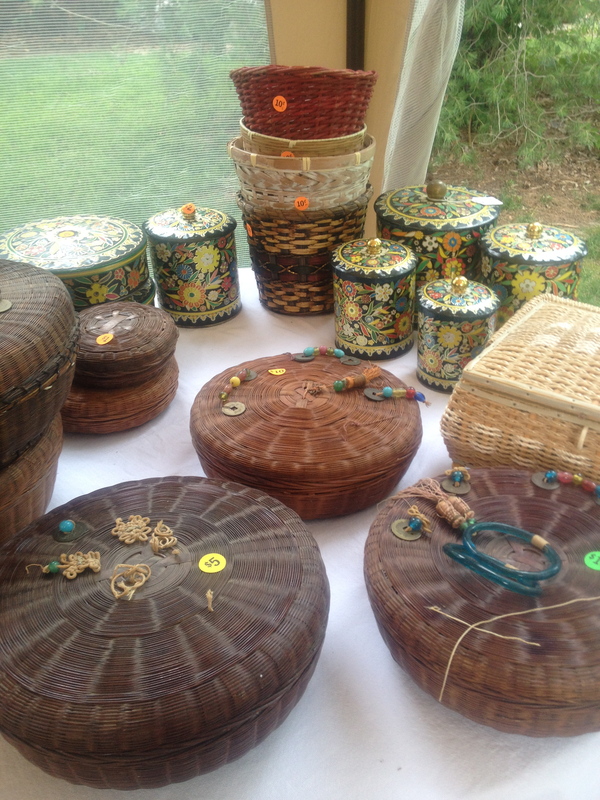 I loved the picnic baskets. 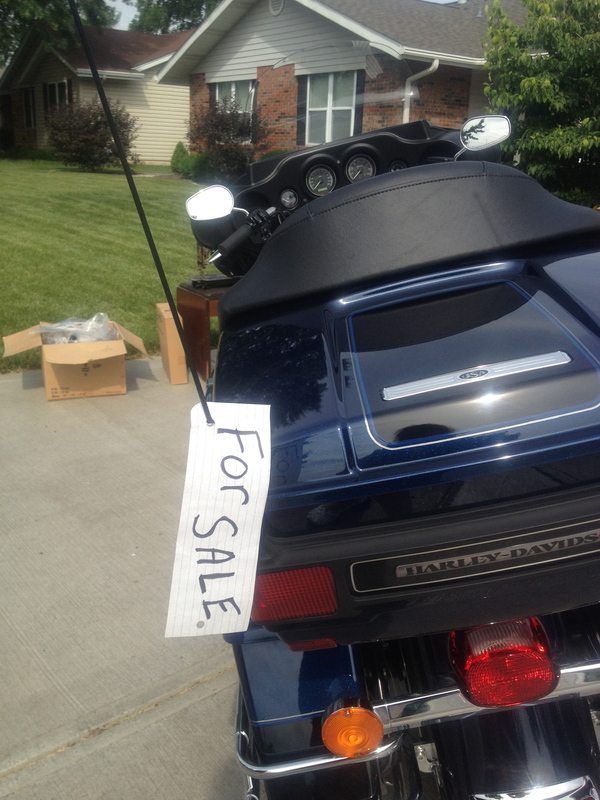 I didn’t really want the Harley but I’d never seen one at at garage sale before! I finally found something that would fit in the suitcase. I couldn’t resist bringing a couple of tins home. On the bottom of the tins it says: Desgined by Daher, Long Island, NY 11101 Container made in England. Did you ever have to leave something behind?